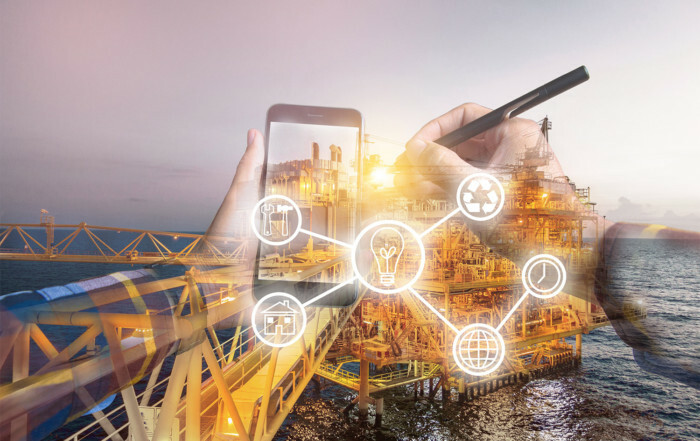 Industries such as Utilities, Oil and Gas, and Rail rely on supply chains from discrete manufacturers to build or supply the parts to maintain key assets. Traditionally, those assets are highly capital-intensive, with large investments required in equipment in order to run a business. At Sapphire Now, SAP launched SAP Leonardo for Discrete Manufacturing, which seeks to have the same impact on the discrete manufacturing business as the cloud has had on enterprise software. The “as-a-service” designation was largely popularized by “Software-as-a-Service” or SaaS—where software is purchased via subscription rather than a license. In SaaS, the infrastructure is offered via the public cloud, so the company doesn’t need to make the initial investment in physical assets such as servers. This has revolutionized the way enterprise software is purchased, particularly in line-of-business units. SAP is hoping SAP Leonardo for Discrete Manufacturing can have the same impact on the buying and selling of industrial equipment that the cloud has had on software. The data collected from the Internet of Things (IoT), particularly sensor-based data on industrial equipment, has the potential for huge impact on not only the way companies maintain their assets, but operate their businesses in general. SAP Leonardo for Discrete Manufacturing is an industry innovation kit that seeks to guide manufacturers toward a pay-for-outcome model—meaning a shift from selling major assets to providing them as-a-service. One customer example SAP has often pointed to in this sector of a company in the air compressor industry. By using sensor data, that SAP customer changed its business model from selling air compressors to selling air-as-a-service. That means its customers only paid for the air they used, rather than buying and maintaining air compressors. The air compressor company had the best insight into keeping the compressors in working order, so it took that burden off the customer. With this new SAP Leonardo innovation kit, SAP plans to help customers help calculate risk and identify strong potential customers through machine learning, asset intelligence, and predictive maintenance capabilities. The solution will use IoT data and other contextual business information to help determine project costs and revenue to ensure fair pricing and quotes. At Vesta Partners, we specialize in the Enterprise Asset Management (EAM) space, so we have many of the same customers as discrete manufacturers in industries such as Rail, utilities, and oil and gas. For our customers, if SAP Leonardo for Discrete Manufacturing does what it intends, then the purchase and maintenance of major assets may be greatly impacted—going from large capital investments to pay-per-use on industrial equipment. However, what is important to remember here is that this SAP Leonardo solution is only designed to identify those discrete manufacturing customers that are the right fit for an as-a-service offering. It may be the case that a Rail or Utilities or Oil and Gas customer finds it more cost effective to continue purchasing, rather than subscribing to, equipment. Other times, it may prove beneficial to pay for equipment as-a-service. If that’s the case, then that’s a good thing for all parties. The important thing to keep in mind for customers of discrete manufacturers is that these changes are coming, and technology like SAP Leonardo for Discrete Manufacturing is helping to usher in that new era. Contact Vesta Partners to find out how SAP Leonardo fits into your EAM strategy.